Dentistry is a field that specializes in the proper diagnosis, treatment, and prevention of dental disorders. At our practice, we are committed to diligently serving our patients with the right diagnosis and treatment plan. 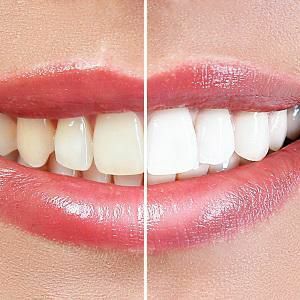 Dental problems are common among all and we understand the pressures of having a dull smile just because that tooth is missing or cavities alone. We are pleased to serve our patients with utmost care and comfort. We have a Preventive Dentistry department that is solely dedicated to educate and serve patients in preventing oral infection and diseases. We have a department specialized in providing restorative solutions for patients with missing or misaligned teeth. Preventive dentistry deals with all the procedures that are carried out to prevent oral infections and diseases. Preventive dentistry includes various oral hygiene habits which can be practiced at home as well as procedures which must be performed by a professional dentist which arrest oral diseases and prevent them from becoming severe. After all, prevention is better than cure. How does a dentist help you prevent oral infections? A dentist would carefully examine your teeth and suggest a suitable dental plan. He/she would carry out a few tests and perform procedures which would help prevent the onset of any infection. Oral cleaning: Plaque and tartar are the main causes of gingivitis and periodontal disease. They are nothing but bacteria which have been accumulated for a long period of time and have eventually hardened. Scaling is a method of cleaning the teeth and getting rid of the plaque and tartar. As an advanced method, an ultrasonic scaling device may be used for this purpose. Root planning is a procedure where the plaque is removed from the root of the teeth. Oral cleaning prevents most of the dental infections. 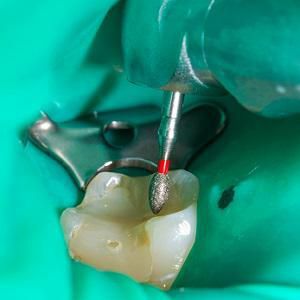 Dental sealants: Sealant is a filling like material which is used to fill in the grooves of the molars and premolars. This prevents the accumulation of microbes in these grooves, thereby reducing the chances of developing cavities. Fluoride treatment: Fluoride is a mineral that makes the teeth stronger and prevents them from developing cavities. We get the supply of fluoride required for our body through drinking water and the toothpaste that we use. However, when it isn't adequate, the teeth may start to become weak. Fluoride treatment helps increase the level of fluoride in the teeth, making them decay-resistant. Dental x-rays: X-rays of the mouth help reveal any onset of cavities even before they become very apparent. This helps the dentist treat the cavity at an earlier stage. Oral cancer screening: Oral cancers is mostly contracted by excessive smoking and usage of tobacco. A dentist would check the patient's mouth for signs such as redness, sores, lumps, leukoplakia, etc. If any such signs are found, then further tests may be required to confirm the presence of cancer, after which appropriate treatment can be given. Salivary diagnosis: It is a new technique which is being practiced widely nowadays. Certain oral diseases can be determined by diagnosing the saliva of a patient. Further, preventive measures can be taken against the infection. Loss of tooth is a major concern for us. Tooth loss may affect patients belonging to any age category. 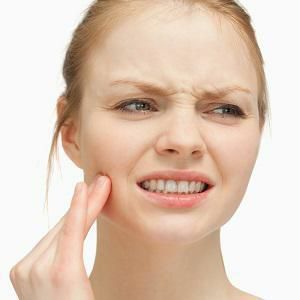 Some of the reasons behind tooth loss are dental cavities, broken tooth, and space between teeth. This dilemma can be rectified by using fixed or removable dental appliances. Dentures are a replacement solution for missing teeth. They are removable dental appliances which can either be used to replace all the natural teeth or only a few teeth. Dentures offer an excellent cosmetic solution as they look exactly like normal teeth. They also restore the functionality of the mouth. Dentures can be made from either metal, acrylic or composite. Metal dentures are strong and durable, but expensive compared to the alternatives. Acrylic dentures are more affordable, but, as they're made from plastic, they aren't strong. The most widely used material for making dentures is composites. They're strong, durable and aesthetically very pleasing. They can be made to look exactly like one's teeth and gums. With careful use and regular cleaning, the life of dentures can be extended. Periodic visits to the dentist's office help make any changes to the dentures with respect to the fit. Dentures look exactly like natural teeth. Both the teeth and the gums can be fabricated to look natural. They help in chewing food. Thereby, they help with the digestion as well. When most of the teeth are extracted, it alters the shape of the mouth and the face. This can be prevented when dentures are used, as they help retain the shape of the cheeks and lips. They help in improving the phonetics. They improve the smile of a person. They are the dentures which contain only a few prosthetic teeth. They are used when the patient has lost only a few of his/her natural teeth. 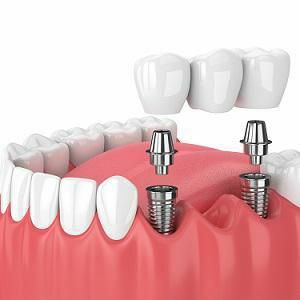 These are the best solution to replace multiple teeth because getting multiple implants would be a complicated solution. It would also be expensive. Also, the same applies to multiple dental bridges. In such cases, partial implants would prove to be the best solution. Moreover, they are better from an economic point of view as well.